DENSO has been at the forefront of design and technology for decades. This has garnered awards from many major manufacturers including Caterpillar, Cummins, Ford, GM, John Deere and more. DENSO Heavy Duty parts are more dependable, durable and better built, which means lower operating costs for your fleet. It’s that simple. PowerEdge™ Alternators have an innovative wire design that lead to increased efficiency, longer life, lower weight and a compact design. These attributes provide savings to your bottom line. Gives technicians ease of installation and service, allowing additional payload. PowerEdge™ Starters benefit from over 70 years of engineering and manufacturing experience supplying auto and truck makers with electrical components. 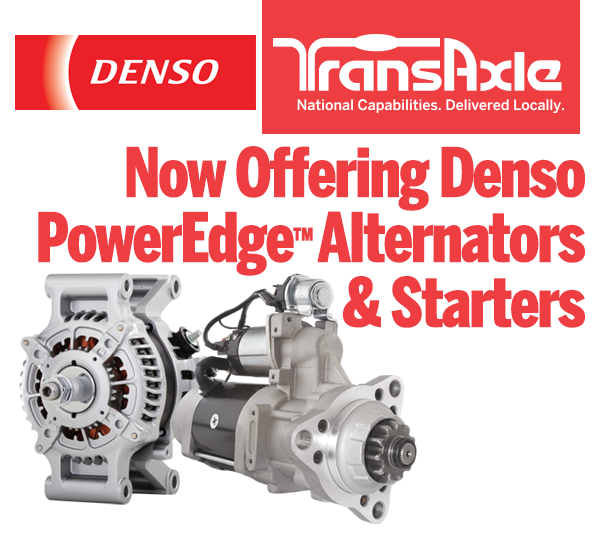 For more details see our Denso PowerEdge™ Starter & Alternator Flyer by clicking HERE.